1967beetle.com is happy to report that Lisa Tucker from Pelzer, South Carolina got her ’67 Beetle back. It might not be the way it was originally, but at least it’s back. 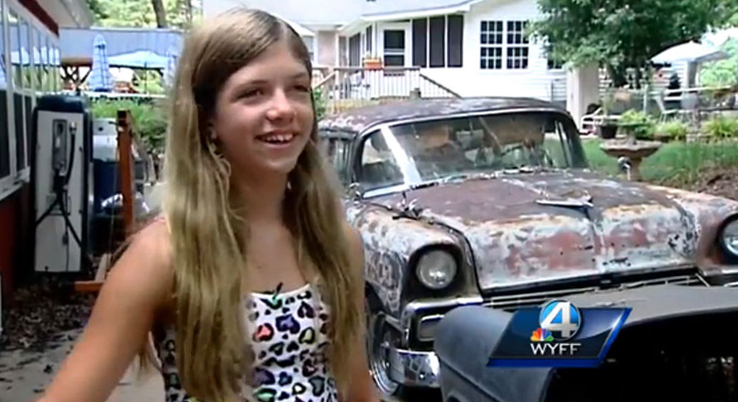 That’s all that matters to this 10-year-old girl from Pelzer, South Carolina, who now has the car of her dreams home safe and sound after it was stolen on June 24. “When I got home, I got out of the car and just screamed,” Lisa Tucker told the local FOX affiliate of her excitement after getting her beloved Volkswagen Beetle back. The little girl spent her hard-earned $2,000 that she had collected from years of doing chores and helping out at her family’s scrap yard to finally purchase her pride and joy, a 1967 beetle, hoping to fix it up with her dad- and eventually one day when she’s older- drive it. The lights had also been removed and the VIN number was stripped from the car. But the community wasn’t fooled by the bug’s new makeover. Anonymous tips led the police to the vintage Beetle just days after it was stolen, helping get it returned to Lisa on Sunday. Now that the bug is back with its rightful owner, the grateful young girl isn’t letting the car leave her sight. It’s too bad a lot of ’67 Beetles are stolen and lost forever. Our timing light it pointed in your direction, Lisa! Some how as we grow, we lose that magical feeling we had about our dreams. Sad for us, but great Lisa gets to Carry on with hers. As it should be. I hope it all comes true for her, and we just may see her on here in 6 to 10 yrs making us all envy her lill 67. Good work, to the community, and local police in her area for caring, and finding it for her. Agreed! We look forward to doing a featured article when she’s a bit older. Are there before/after photos to share? It truly does “take a village” and we’re happy for Lisa that she’s surrounded by a great village! Not that I know of.. However, if you Google about the car, there are some other articles. This one got a lot of attention. Any chance of donating some parts to help her get her vw bug up ? Do you know her personally? We might be able to do something. I don’t.. I am in Miami but i thought it might be cool to do this.. I restored mine and have some parts that are left over that i will not use so i thought i could donate it to her family so she can put it together. After all the thieves took some of the parts. Sounds good. If you’d like, please have Carolina Fox news reach out to us. 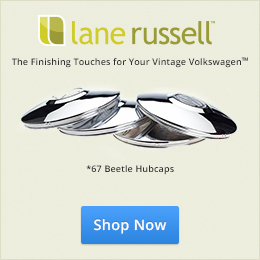 1967beetle.com has a global following, and we can probably all come together to help her out somehow. The ’67 Beetle community is always happy to help where we can.